Featuring Posiflex's patented aluminum chassis for maximum heat dispersion, an Intel® Atom™ 1.8 GHz Dual Core CPU, and support of Win 7 Pro among other operating systems, the KS7200 offers great performance, reliability and compatibility. 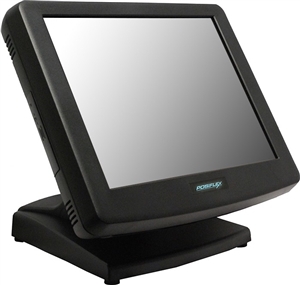 Equipped with optional RAID 1, a valuable feature for a point-of-sale or business critical data collection, this redundancy safeguards your important data to ensure maximum uptime. Being fan-free, the KS7200 reduces energy consumption, and eliminates a potential point of mechanical failure, reducing service costs.